Add a little colour and creativity with a fully personalised and fully custom promotional Colour Mouse Mats mix and match with logo. Mix and match these brite-mats with 10 colours to choose from;black,blue,cyan,green,grey,orange,pink,warm red, white, yellow. Then choose to print your company brand logo on the surface of your choice in the same array of colours as specified above. Why not have one of these on your customers desk? With a printing area of 240 x 190 your sure to grab attention of clients and potential clients with style - and what better way? 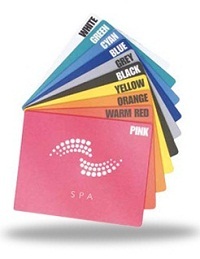 Custom colour your brand named mouse mats and give us a call for a FREE QUOTE!!! To find out more about our Colour Mouse Mats mix and match with logo<< click here and fill in the contact form and we'll get straight back to you.